Diaset offers a number of solutions for retrieving core samples. Diaset’s exclusive “MW” core lifer is a recommended long-life alternative to thin wall wireline systems. We also offer diamond impregnated core lifters. This premium grade core lifting system is the toughest and most durable system available on the market. 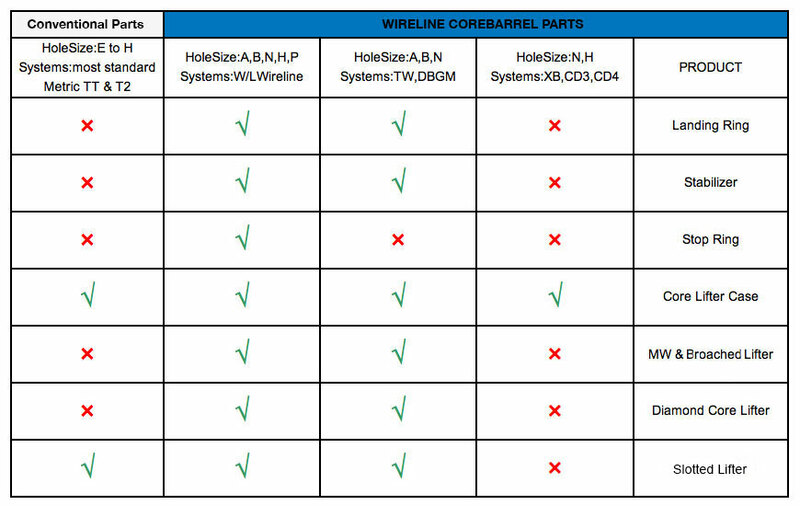 Below is a table of the various corebarrel parts available and applicable hole sizes.